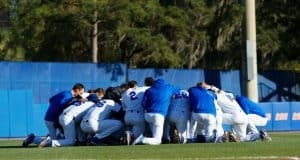 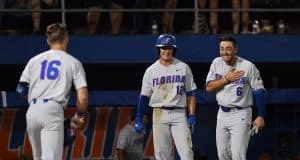 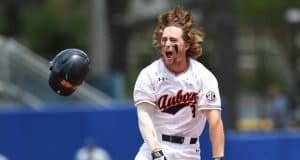 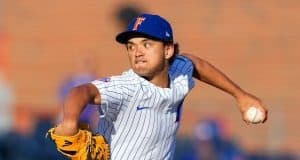 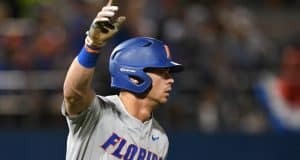 Photo Gallery of the Florida Gators 3-2 loss to the Auburn Tigers in the Gainesville Super Regional. 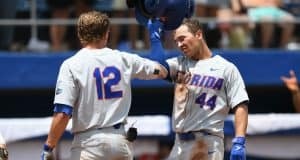 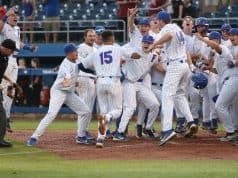 Gainesville Super Regional Preview: Dates, times, broadcast information. 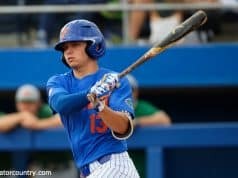 How to watch every game. 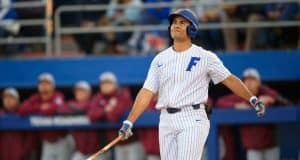 The timing of the MLB Draft takes away from the moment for many players. 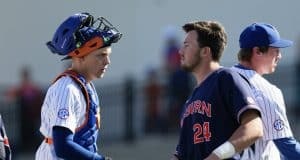 A walk on catcher who spent his season in the bullpen, Jonah Girand is making the most of his opportunity in the NCAA Tournament. 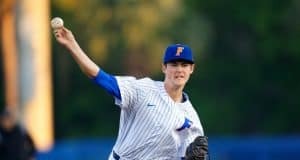 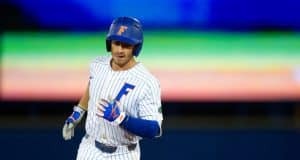 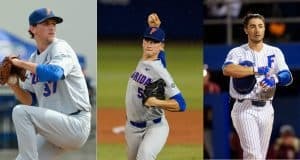 Jonathan India, Brady Singer and Jackson Kowar were all selected on the first night of the MLB Draft. 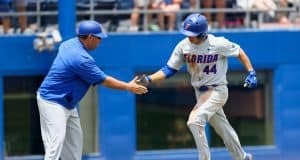 Photo gallery from the Florida Gators 3-2 win over the Jacksonville Dolphins in the Gainesville Regional. 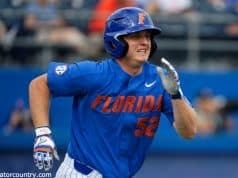 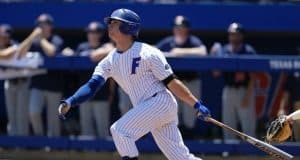 The Florida Gators beat the Jacksonville Dolphins 3-2 thanks to three solo home runs on Saturday night. 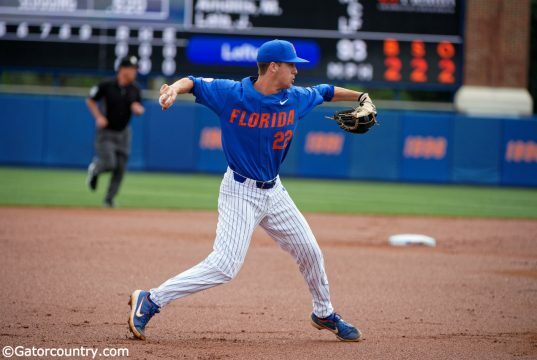 Jordan Butler and Wil Dalton did their part in the Florida Gators win over Columbia to start the NCAA Tournament. 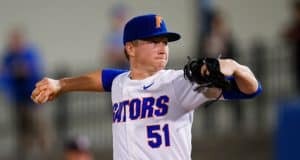 Brady Singer became the second Florida Gator to be named the National Player of the Year. 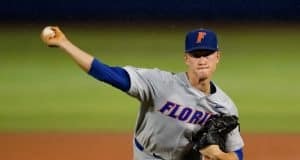 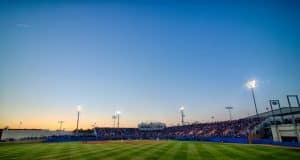 A preview of the Gainesville Regional: Schedule, broadcast information and pitching matchups. 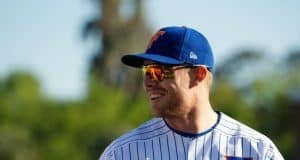 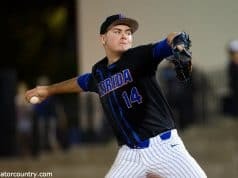 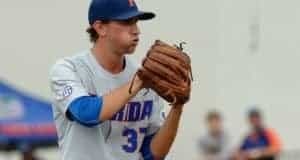 Freshman Tommy Mace has come into his own as the Gators head down the homestretch of the 2018 season.